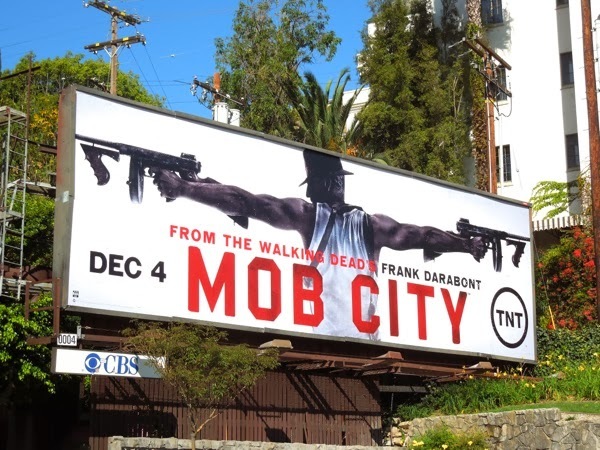 Just how do you follow up the phenomenal success of helming The Walking Dead TV show you may ask, well in Frank Darabont's case it's to bring the film noir style to the small screen in TNT's new Mob City. 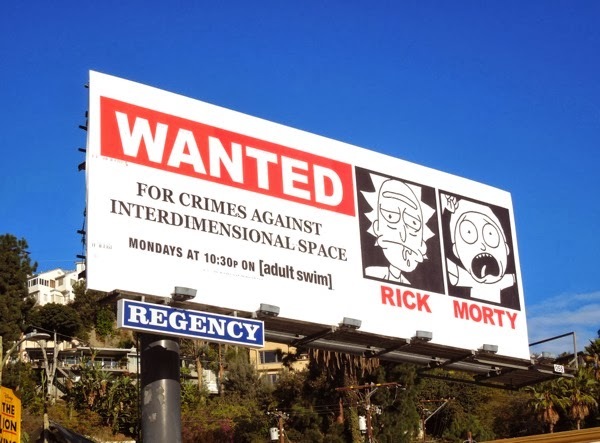 Based on the real life events of the decades long conflict between the L.A.P.D. 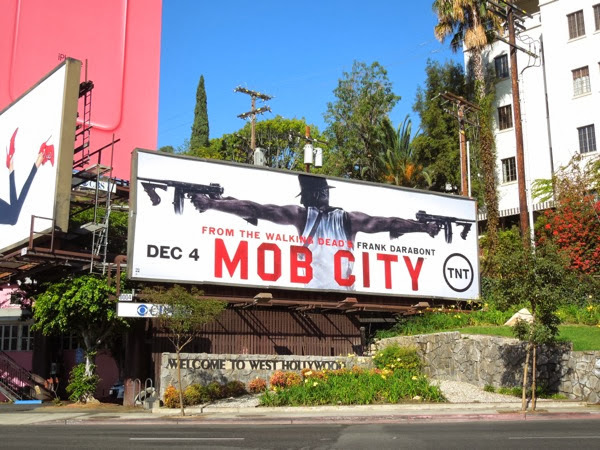 led by Police Chief 'William H. Parker' (Neal McDonough) and the notorious crime boss 'Mickey Cohen' (Jeremy Luke) in 1940's Los Angeles, this fast-paced crime drama exists in the world of glamorous Hollywood stars, returning war heroes, corrupt cops and politicians, ruthless tycoons and a dangerous West Coast criminal underground. 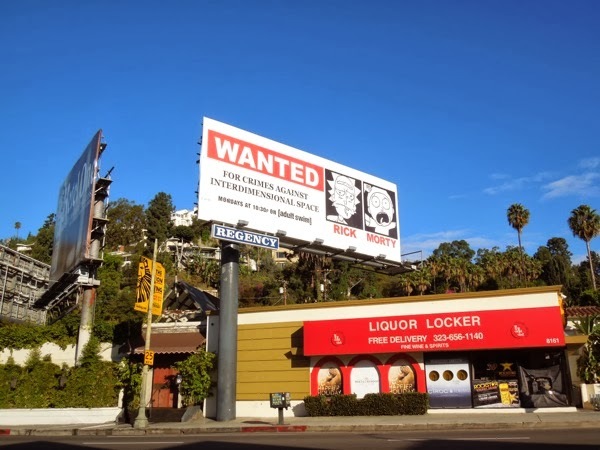 Jon Bernthal ('Shane Walsh' of The Walking Dead fame) headlines the cast as an ex-WWII Marine and L.A. Police Detective 'Joe Teague' caught in the middle of the shady battle between deadly gangsters and corrupt law enforcement. 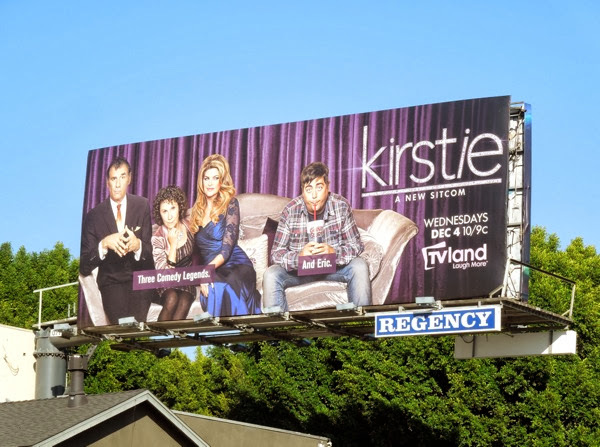 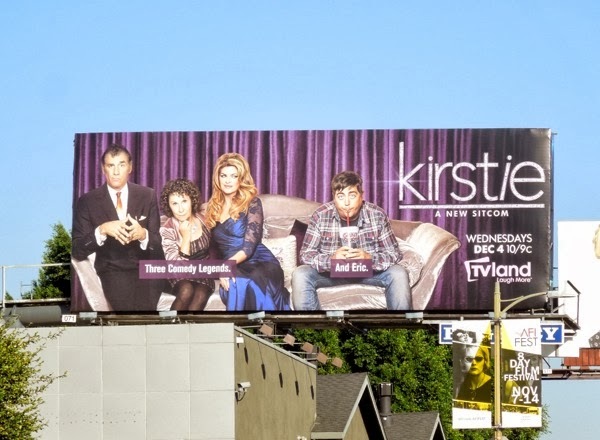 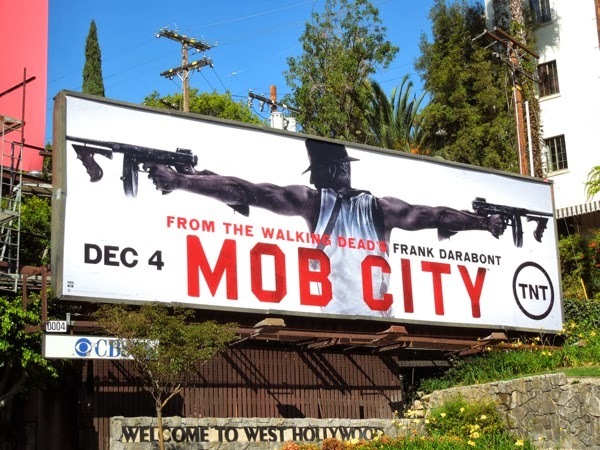 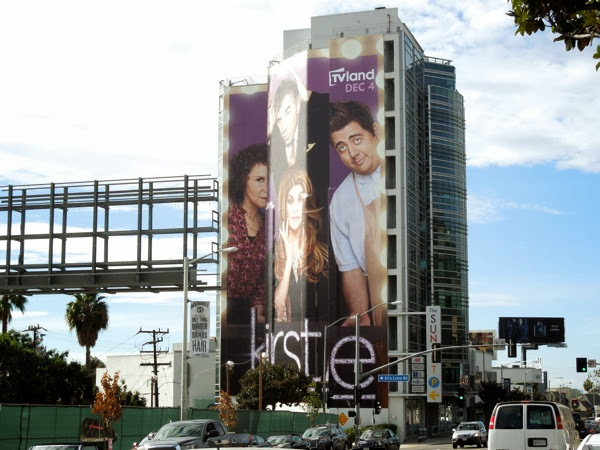 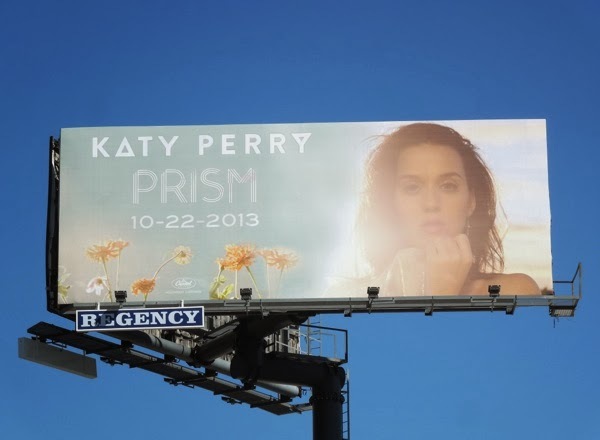 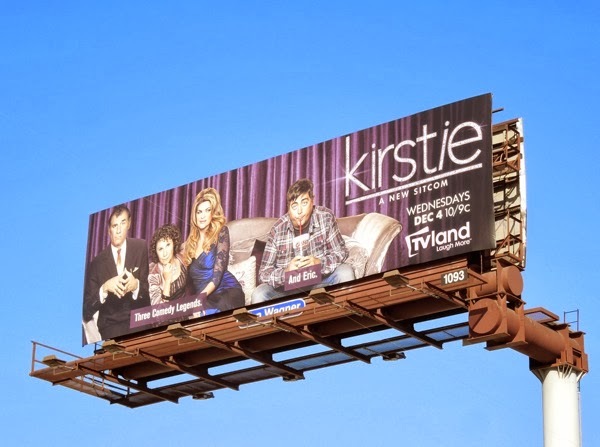 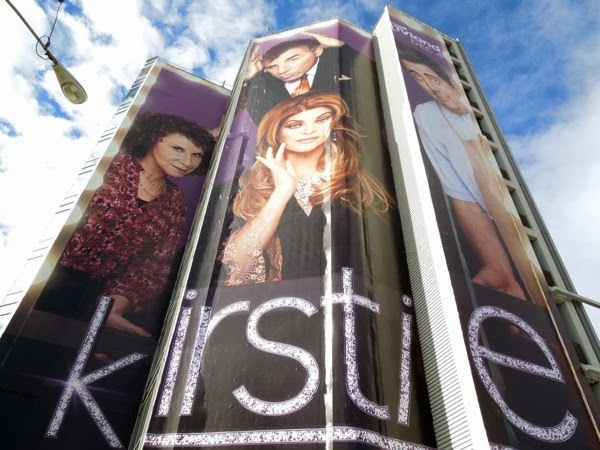 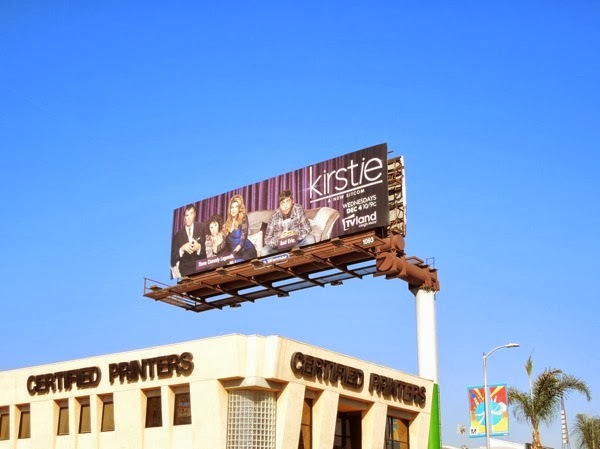 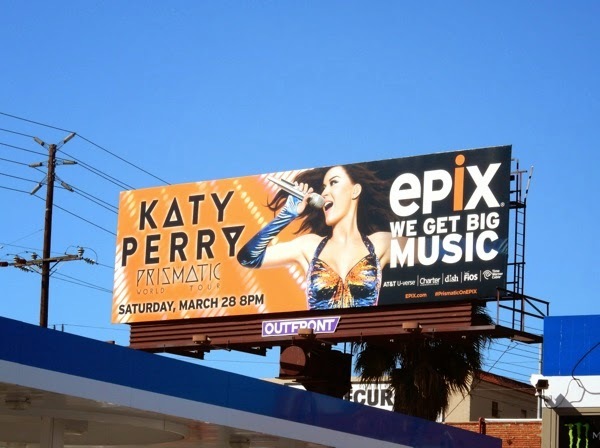 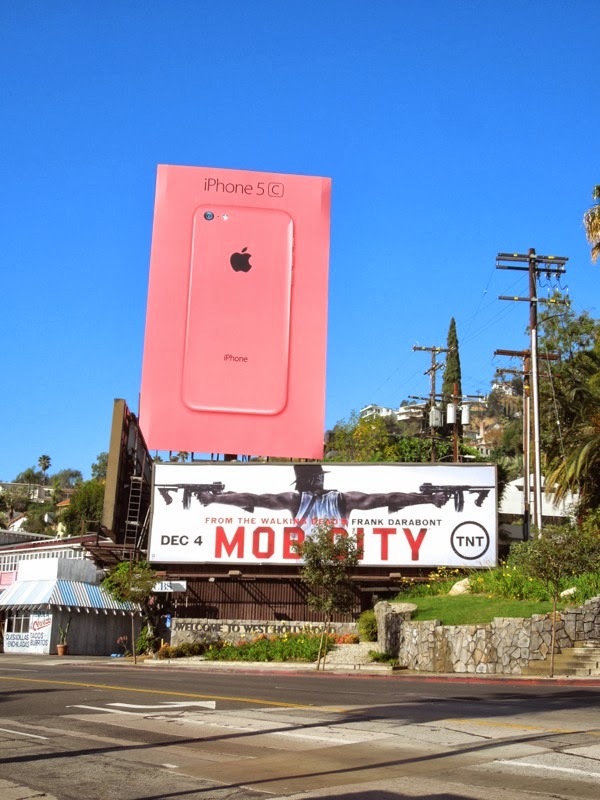 This billboard for Mob City, which will air twice nightly on Wednesdays over a special three week period starting December 4, was spied along Sunset Boulevard on November 11, 2013. 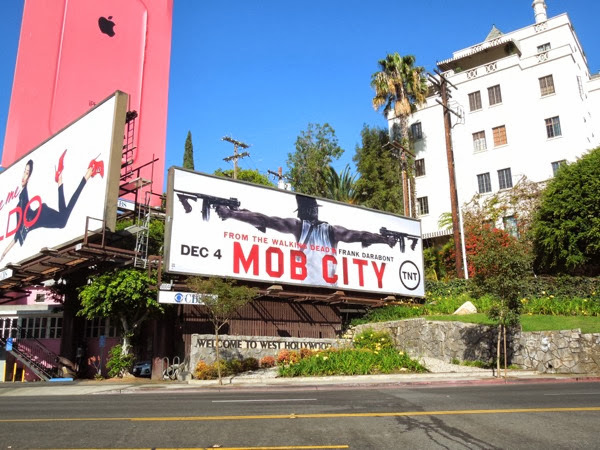 If you like the sound of this new crime noir show, be sure to also check out these original movie costumes, props and cars from Gangster Squad which was also about Mickey Cohen (played by Sean Penn) and the covert cop squad that was tasked with taking him down. 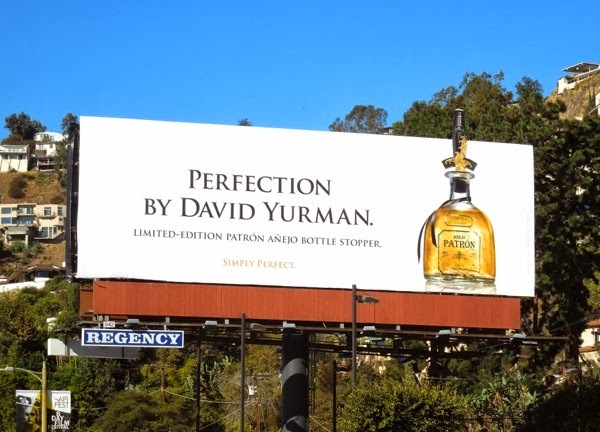 What better way to kick off the party than with a shot of tequila, or at the very least if you're taking a present to thank someone for their invitation to Thanksgiving dinner you couldn't go far wrong with this limited-edition bottle of Patrón Añejo with its unique bottle-stopper designed by luxury jeweler David Yurman. 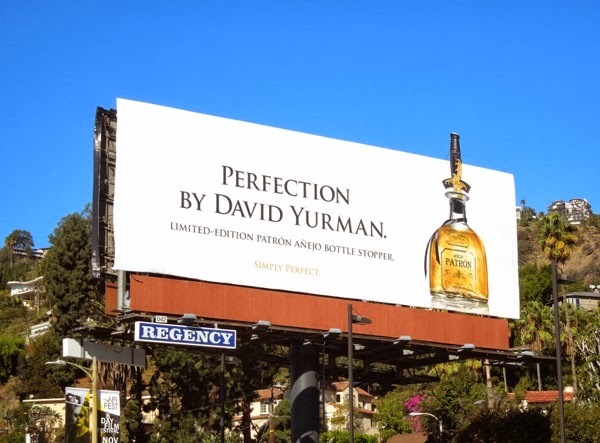 Last year fashion designer John Varvatos put his own distinctive spin on the Patrón bottle with a rocking guitar head inspired design, so be sure to check out the John Varvatos Patrón special extension billboard from last November. 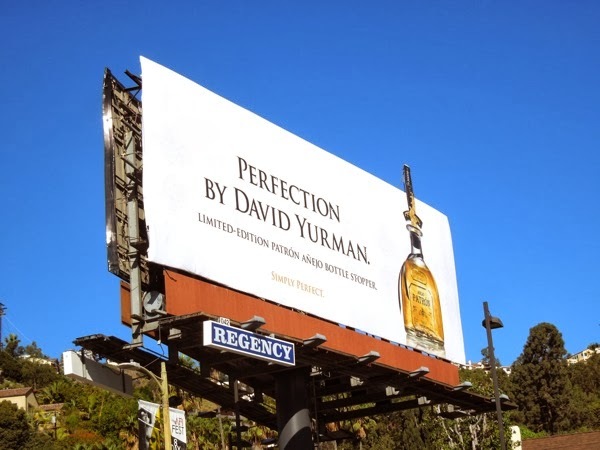 Meanwhile this year David Yurman exclusively created this elaborate sword hilt stopper for Patrón Tequila, which is die-cast metal electroplated in gun metal and 24 karat gold, and is inspired by 18th century Japanese Samurai swords. 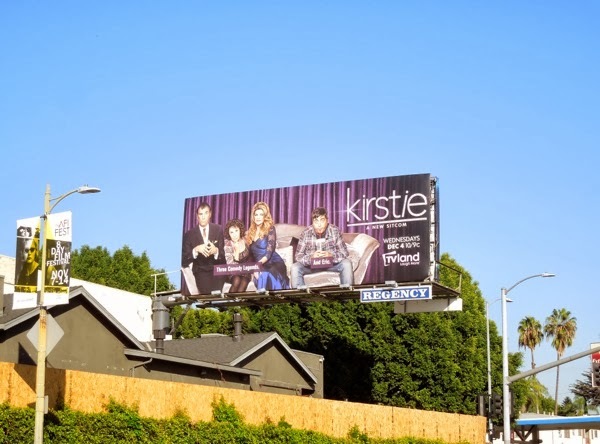 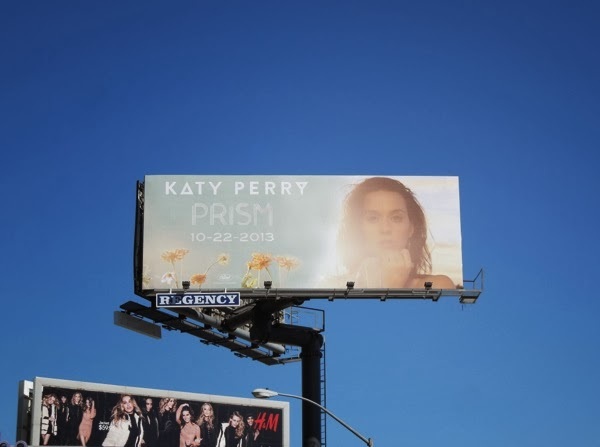 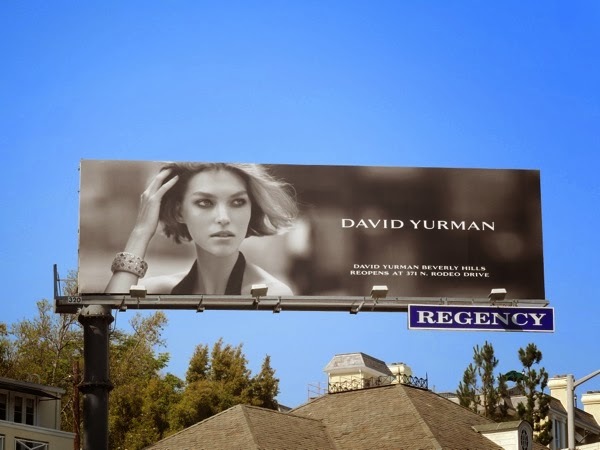 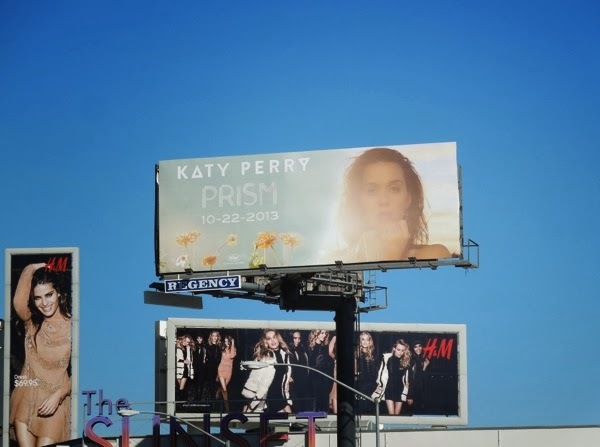 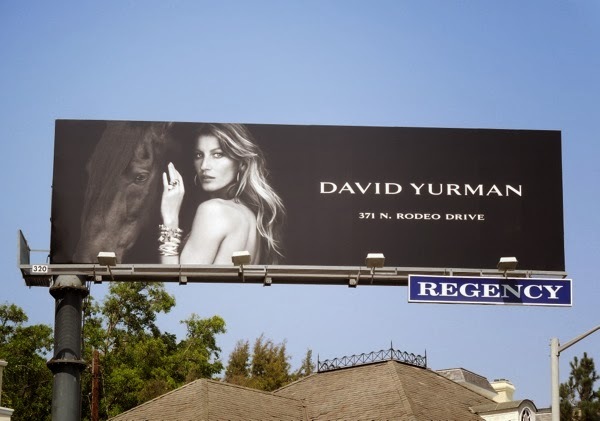 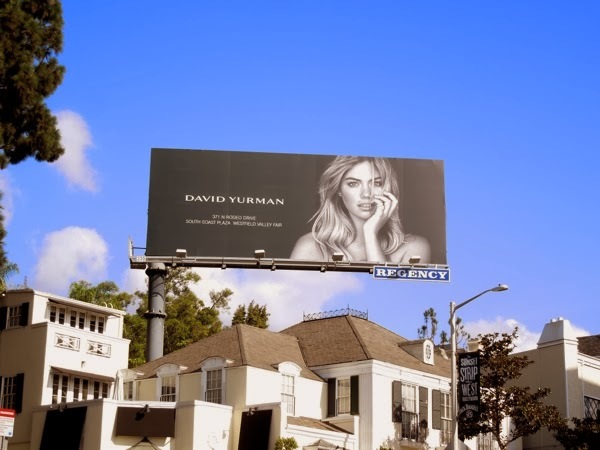 Here's also a selection of the stylish mono billboards for the high-end jewelry designer photographed along Sunset Boulevard in May and August 2012, plus currently in the same ad location in November 2013. 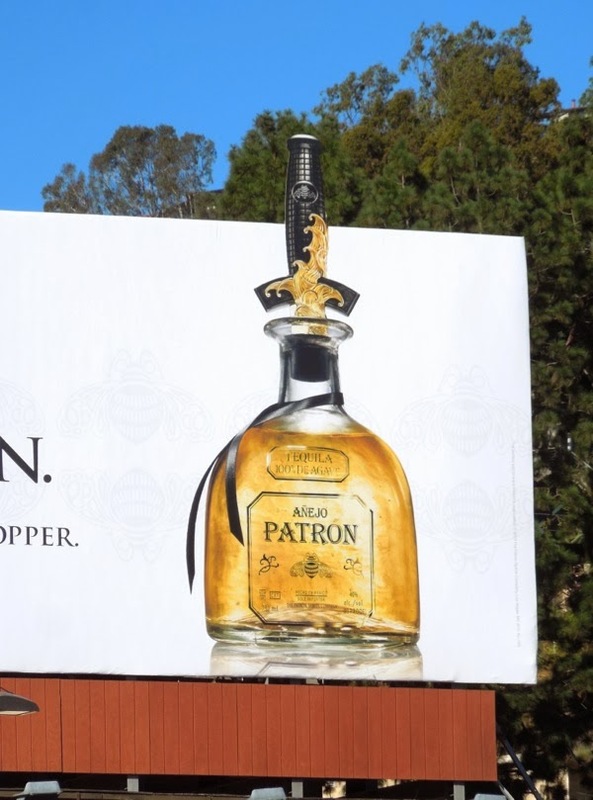 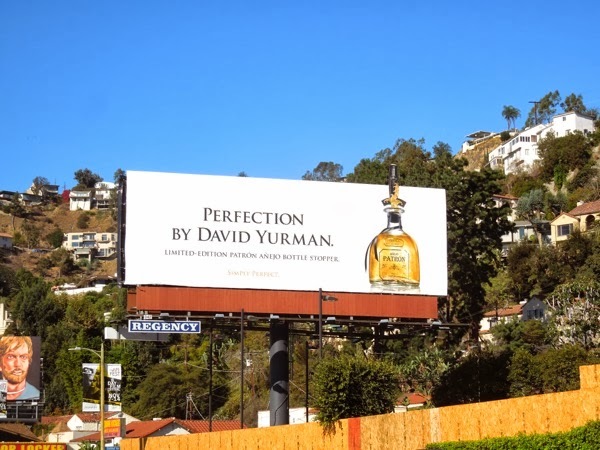 If you're a fan of the tequila brand, be sure to take a look at these other cool Patrón Tequila billboards from previous months. 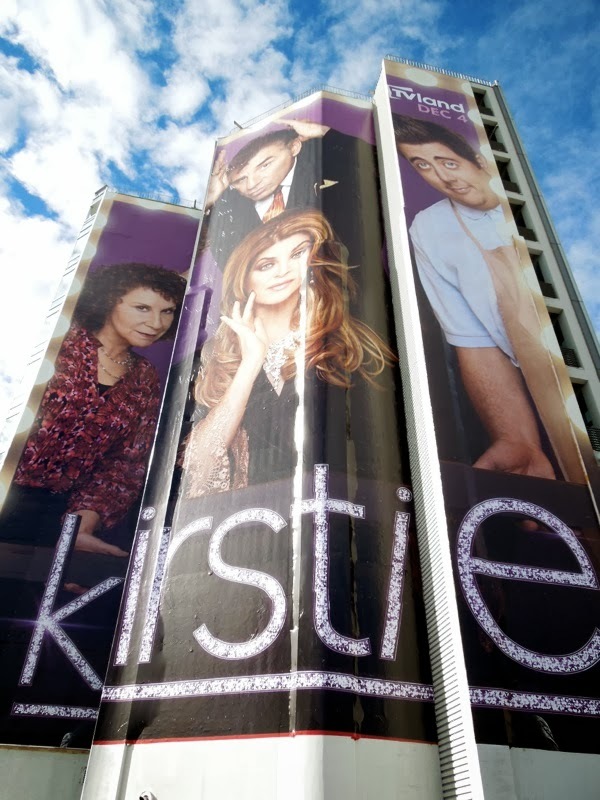 And if you weren't lucky enough to receive this gift today, not to worry, there's still time to drop some subtle hints for Christmas Day (like showing people this web page for example). 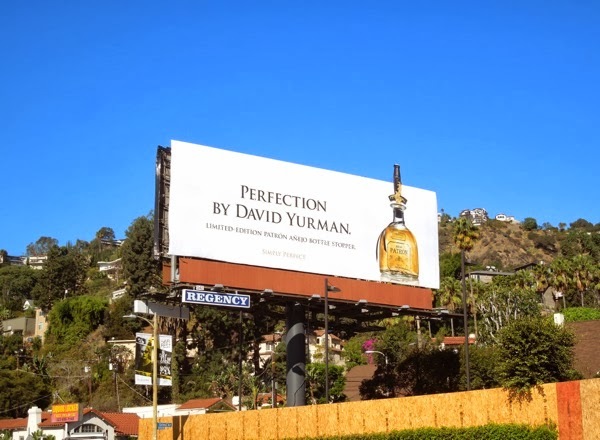 Here's hoping your Thanksgiving celebrations are simply perfect too. 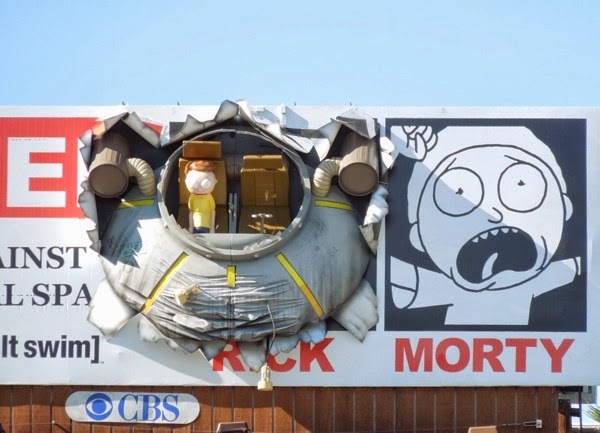 Forget about Sundays, today it's Funday Monday with this fantastic crashed UFO special installation 3D billboard for Adult Swim's new animated series Rick and Morty to kick start another fantastic week here at Daily Billboard. 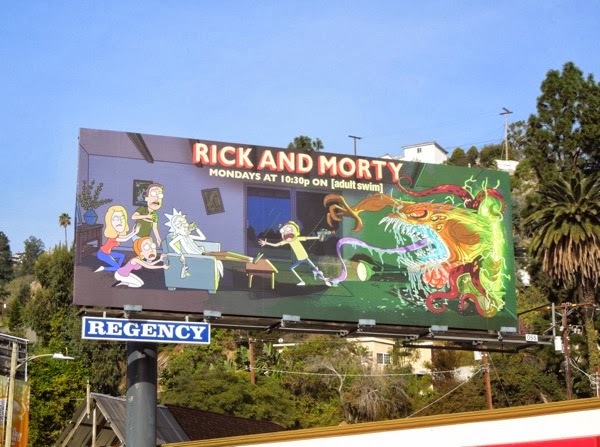 This eye-catching spectacle is to help launch the new comedic cartoon series from Dan Harmon and Justin Roiland which is a twisted take on the crazy scientist and teenage boy duo that was so popular in the Back to the Future trilogy with 'Doc Brown' and 'Marty McFly'. 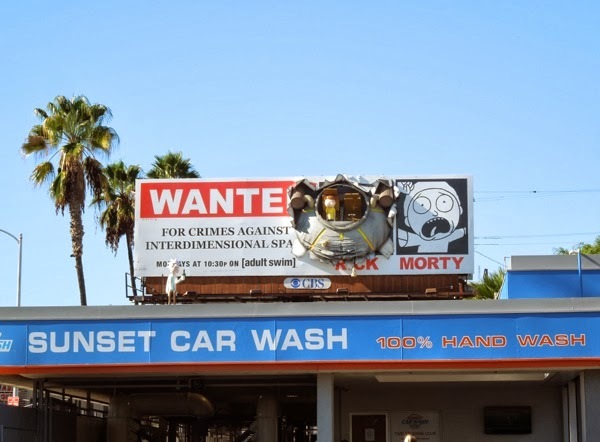 In this series, young 'Morty' is dragged along on high concept sci-fi shenanigans by his crazy grandpa 'Rick', and even though the characters may be inspired by the time-traveling adventures of Back to the Future, the comedy show is also influenced by classic British science fiction like The Hitchhiker's Guide to the Galaxy and Doctor Who. 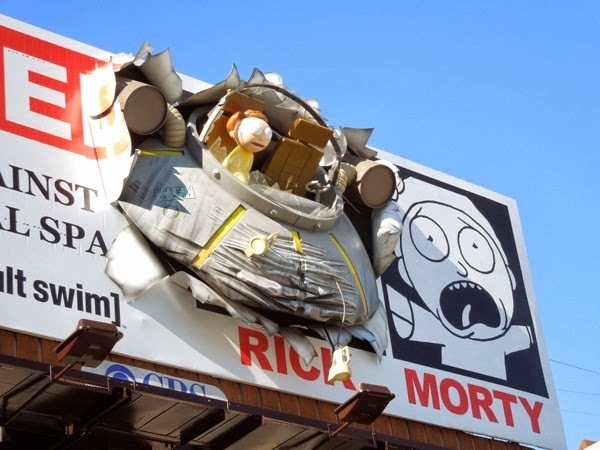 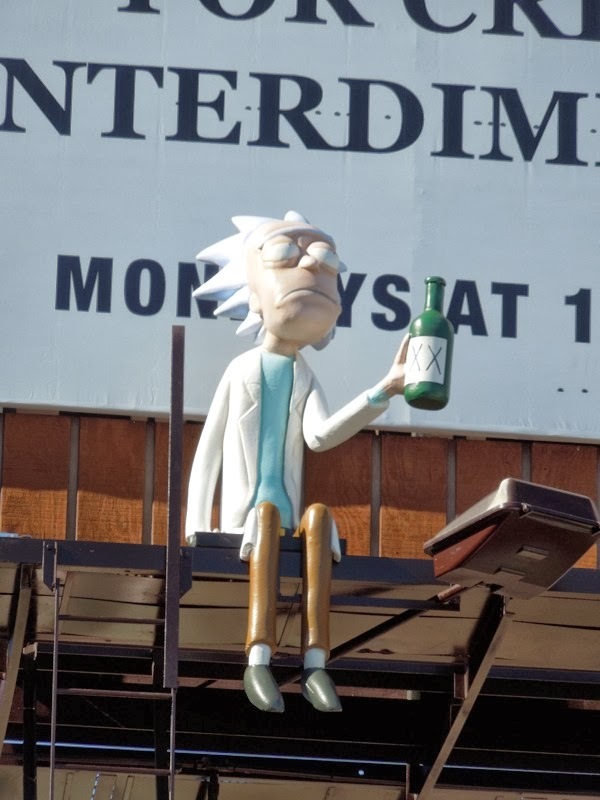 Regardless of the inspiration for the series, this is certainly a PR worthy billboard to grab attention for the new Adult Swim show and Daily Billboard doesn't know whether that is a crashed UFO or some time-travel machine, but it does look like Rick was drunk at the wheel when it crashed. 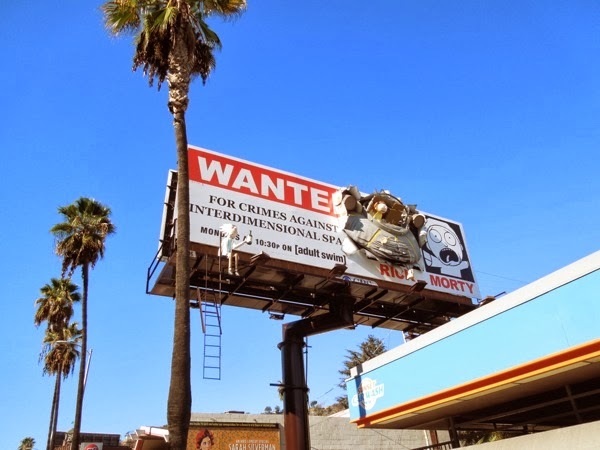 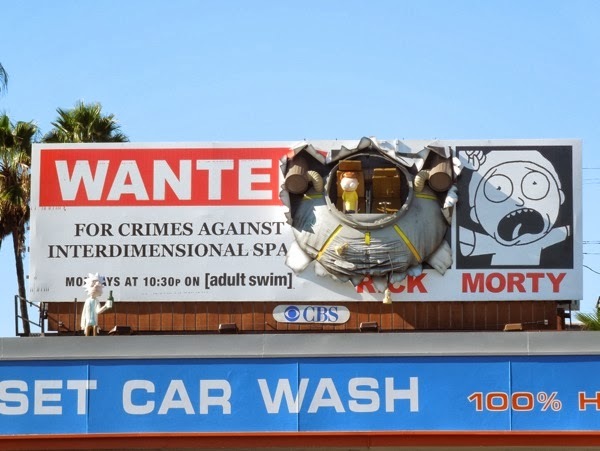 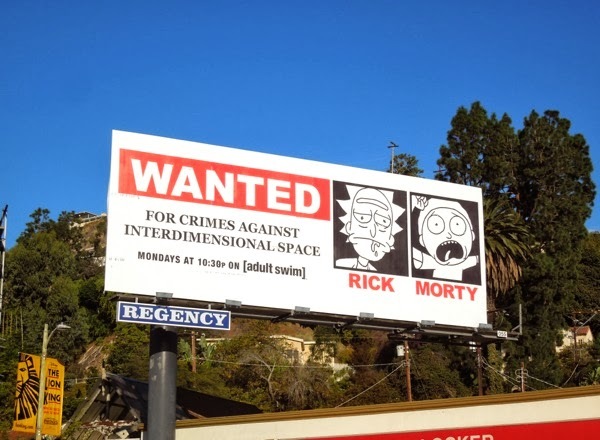 This spectacular 3D billboard installation can be found above the Sunset Car Wash when you're traveling westbound in L.A., and if you carry on along Sunset Boulevard you'll also find a standard 'Wanted for crimes against interdimensional space' billboard for the Rick and Morty show in Adult Swim's regular ad location (both these billboard examples were spied on November 24, 2013). 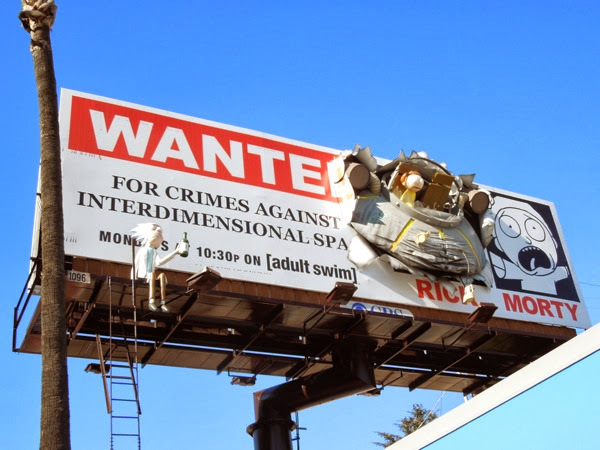 Always willing to challenge perceptions (and please Daily Billboard), Adult Swim continues to push the boundaries with this fun and arresting billboard. 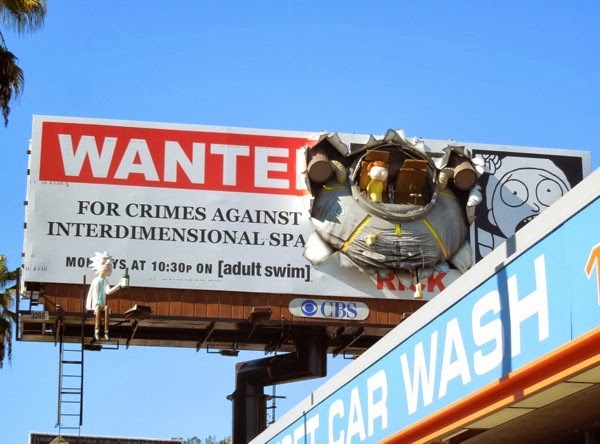 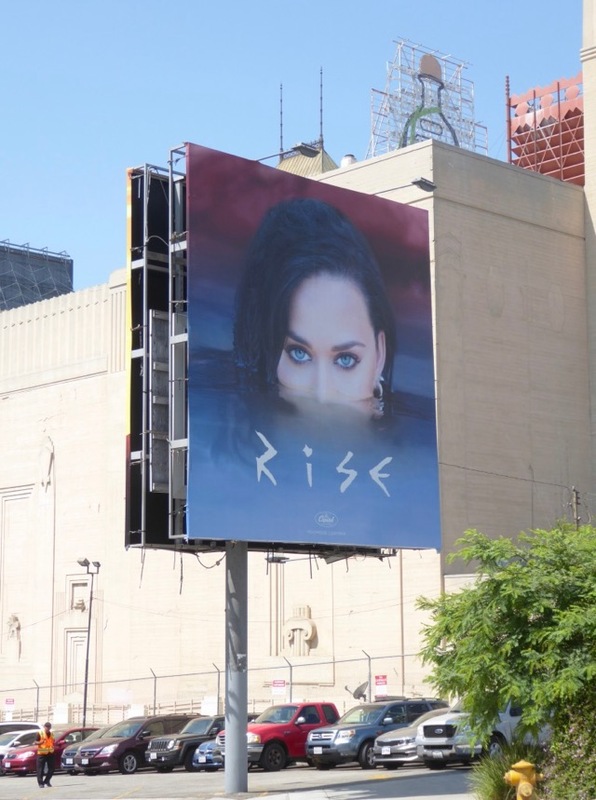 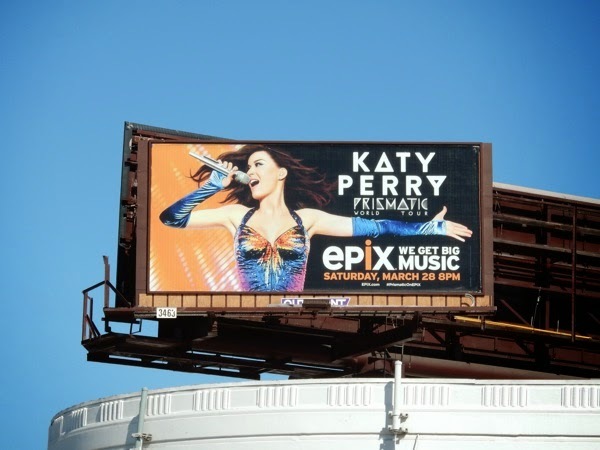 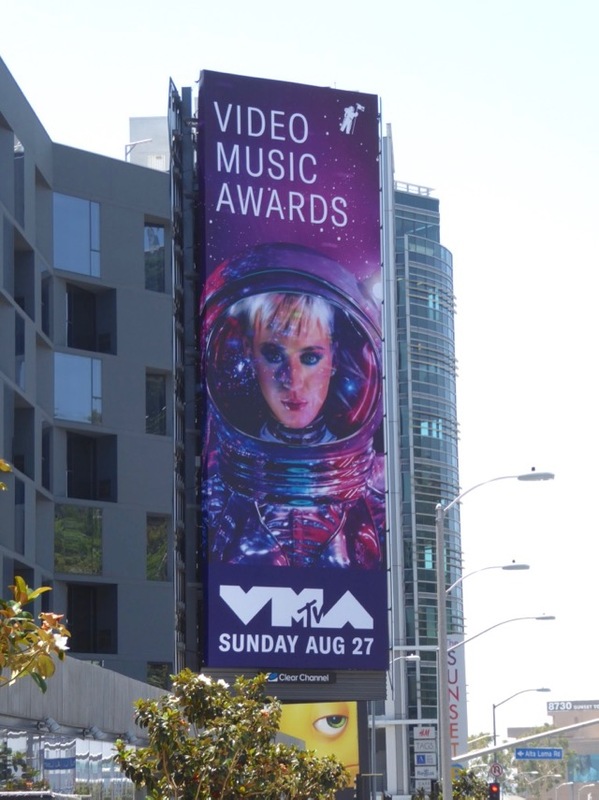 And if you like this amazing billboard, be sure to check out these other special billboard installations all designed to catch your eye with their extra-dimensional concepts. 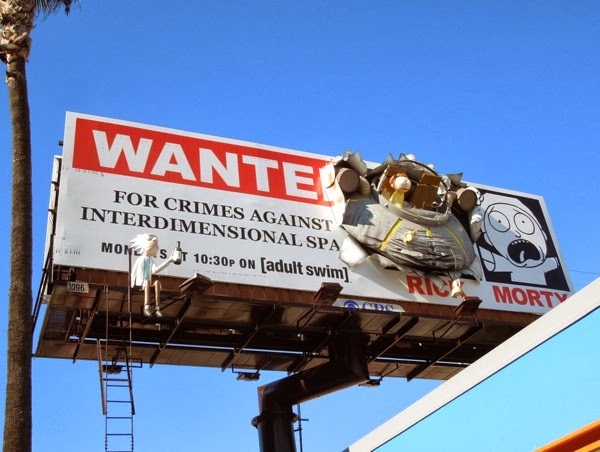 UPDATED: Now that we've been teased by some fantastic 'Wanted' ads and installations, here's the first season billboard for Rick and Morty revealed. 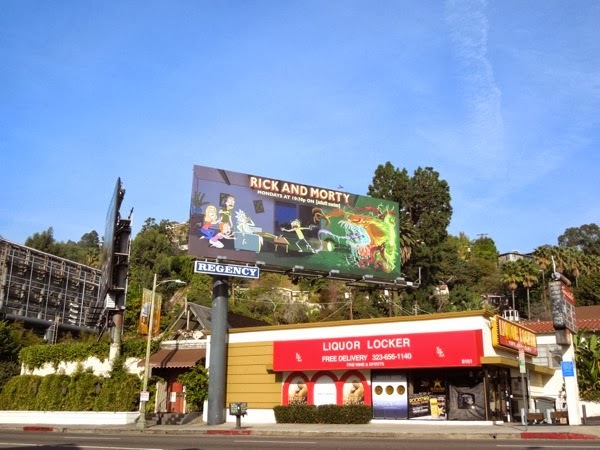 This colourful new billboard promises many more scientific experiments gone awry and monstrous repercussions and was spotted along Sunset Boulevard on January 3, 2014.